Mike Scott’s full-on foray into folk produced one of the finest albums by the Waterboys in the shape of Fisherman’s Blues. 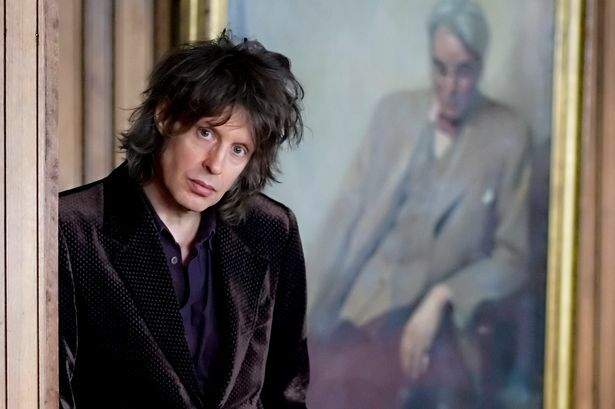 It might have disappointed some for departing from the anthemic rock sound that was the band’s trademark but went on to become the Waterboys’ biggest selling album. The sellout Fisherman’s Blues Revisited tour celebrates the 25th year since the release of a genuine classic that fused Scottish and Irish folk music with rock to great effect. It reunites Scott and Steve Wickham with band members Anto Thistlethwaite and Trevor Hutchinson for the first time since 1990. Scott was in fine form in Birmingham, regaling the audience with stories of the 100 or so songs produced during the lengthy process to create the album, some of which made it on to the follow-up Too Close to Heaven. While this concert didn’t recreate the album per se, it captured its spirit and that of the era too, with some fine musicianship on show, particularly Wickham’s virtuoso violin playing. High points were the rousing Fisherman’s Blues, And a Bang on the Ear, Sweet Thing, a cover of Hank Williams’ I’m So Lonesome I could Cry and The Raggle Taggle Gypsy, though the band also found time to perform hits like The Whole of the Moon and Don’t Bang the Drum.